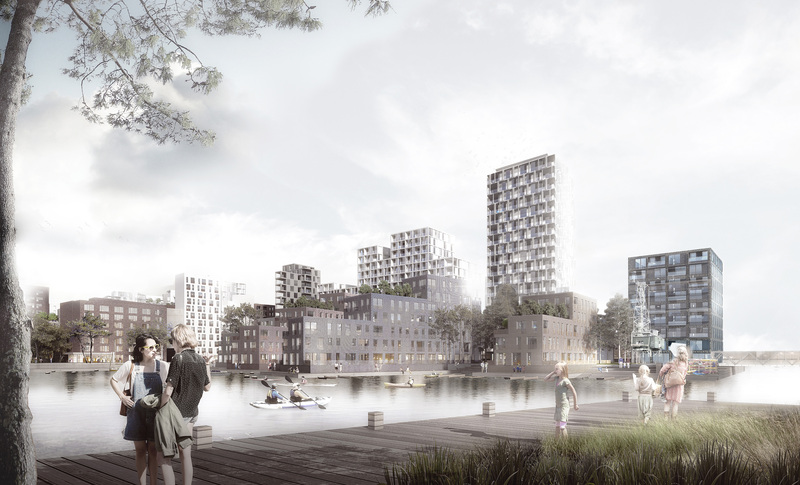 The goal with the masterplan for Østre Havn (The eastern harbour in Aalborg) is to create a sustainable city of knowledge, created in the intersection between the industrial cultural heritage, the great scale of Limfjorden, high architectural quality, and an active city life. 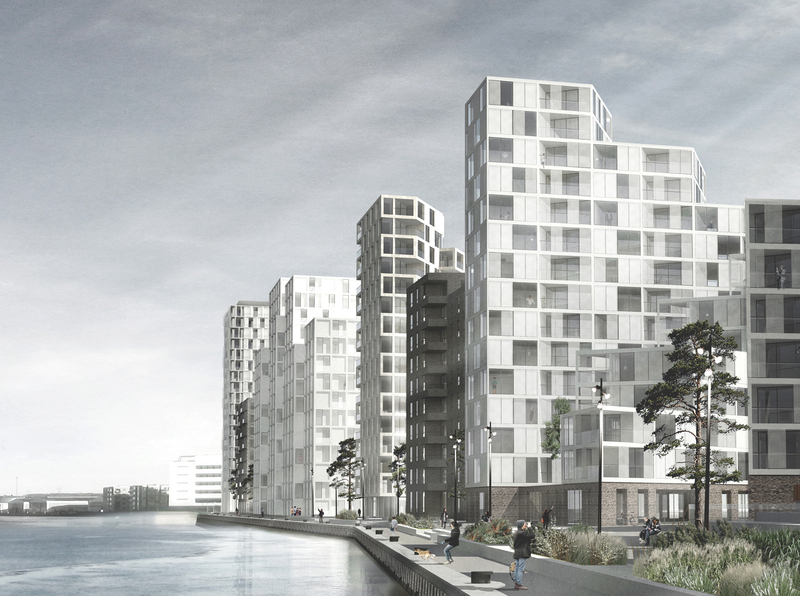 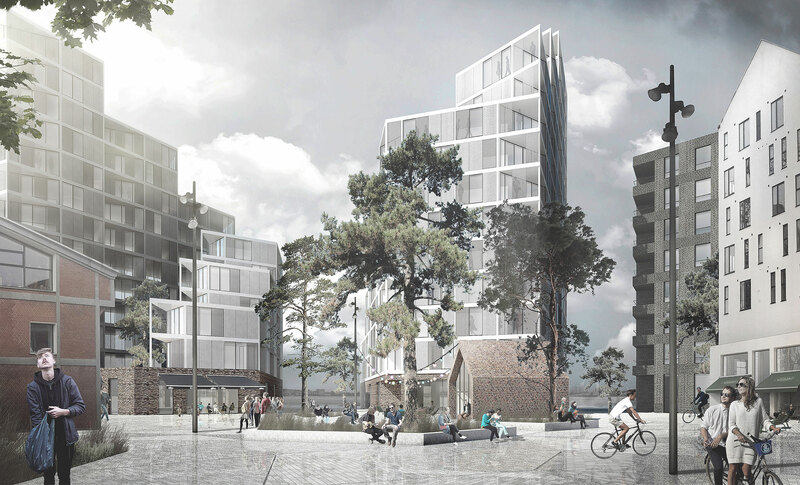 The new buildings of the area are based on the vestige of the former industrial society of the harbour: An honest architecture with the application of a simple materiality, referencing the former white and concrete-coloured, high silos and smaller brick buildings of the area. 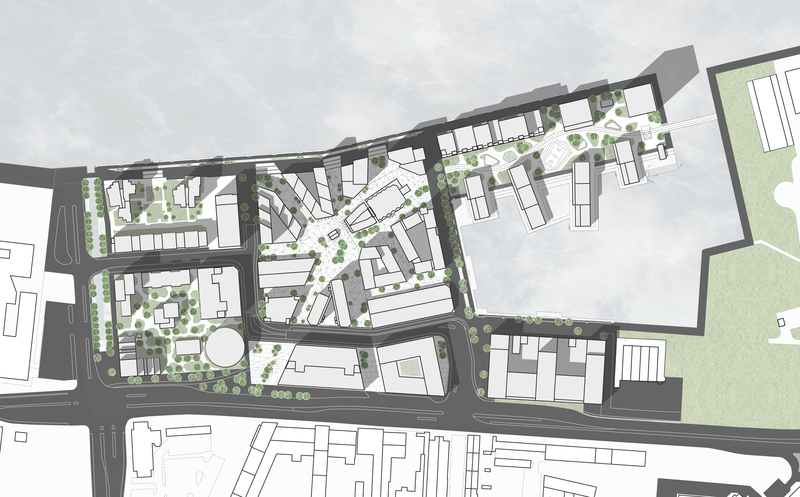 Despite the great building density, the approach to evidens-based sustainability is securing a healthy microclimate and pleasant urban spaces which creates places and experiences for a broad user group.